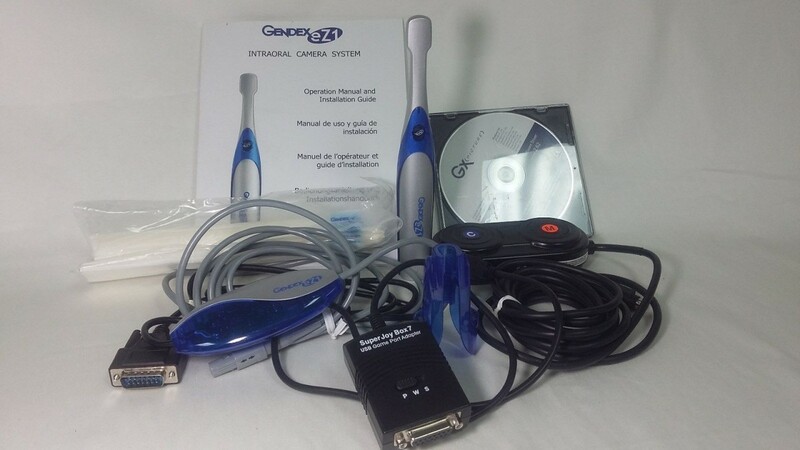 This system displays intraoral examinations on Personal Computers running Microsoft Windows Operating Systems (Windows 2000 or XP-PRO) using a standard USB2 port. The eZ1 camera is the easy-to-use camera for intraoral examinations. This system is the ideal tool for dental professionals looking for an affordable LED camera with USB 2 plug-n-play functionality, and that intend to use the camera for patient education and case acceptance. The lightweight handpiece does not require focal adjustment because of the extended depth of field coupled with automatic brightness adjustment. Can be integrated with a direct digital USB2 connection or an analog docking station. The eZ1 will provide you with an exceptional tool for patient education, case acceptance, and improved patient communication. Advanced Soft-Touch button to freeze and capture images allows single hand operation while minimizing blurring effects. Captures clear intraoral images without any need of focal adjustments thanks to its extended depth of focus and brightness balance. Ergonomic and lightweight handpiece can be mounted practically anywhere, always within reach. Click the button below to add the Gendex eZ1 Dental Dentist Intraoral Camera System to your wish list.